Mainland France (including Corsica) is divided into 21 administrative regions, each waiting to be discovered and with their own unique charms to be appreciated. No matter how you envisage your big day, a location for every taste and budget can be found in France. Perhaps the word which resonates the loudest with wine lovers the world over is Bordeaux and the home of this jewel of French culture is Aquitaine. The city itself, the region's capital. But there’s so much more to Aquitaine than wine. 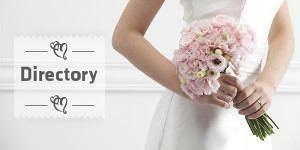 Proudly sitting in France’s south-west corner, take your pick from the plethora of stages on which to set your wedding. The dreamy Dordogne? Perhaps the proudly Basque villages along the Spanish border? Or surfing paradise Biarritz? The choice is yours! Found in the heart of France, the Auvergne offers some of the most striking natural backdrops for your wedding day. Along with Limousin, the region is entirely situated within Le Massif Central, a spectacular mountain chain which dominates the southern part of the country, and is known as being the land of (dormant) volcanoes! The hot springs which have appeared thanks to these volcanoes have made towns such as Vichy veritable centres for luxury spa resorts, providing the perfect pre and post wedding pampering! A peninsula jutting out into the English Channel and the Bay of Biscay, Brittany is one of the six recognised Celtic nations and guards a strong, independent identity and own language, Breton. The region oozes charm and boasts a landscape dotted with medieval castles and a rugged coastline which is home to quaint fishing villages. Even the locals are charming, with a reputation as the friendliest people in the country. There is no shortage of reasons to choose Brittany as your wedding destination. Perhaps the best? The gourmet specialties: Cider and crêpes! The village names of Burgundy evoke the wonderful world of French gastronomy. Dijon for mustard, Pommard for its eponymous Délice de Pommard cheese and an array of villages from Meursault to Gevrey Chambertin and beyond for arguably France’s finest wine. You’ll never have to worry about finding a meal fit for a wedding celebration here, haute cuisine and Burgundy are synonymous. Burgundy is the land of rolling hills and picture perfect villages which ooze romantic country chic. The Centre is where wedding fairytales come to life! For every bride-to-be who has dreamed of being a princess on their big day, no setting is more fitting than one of the famous chateaux of the Loire Valley. Rather confusingly these splendid and famous castles are not found in the neighbouring Pays de la Loire. 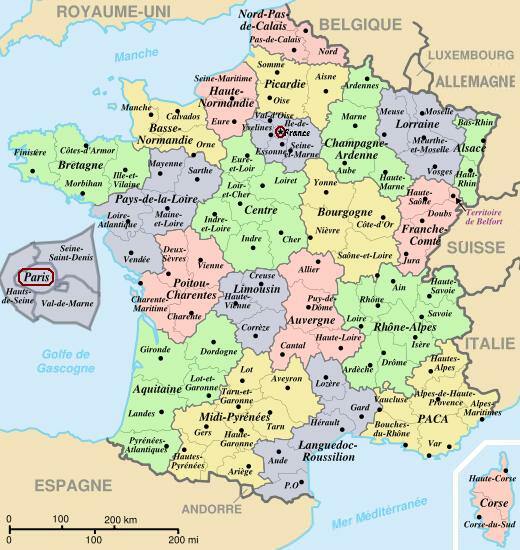 Instead they grace this region which is named, very logically, after its geographical location at the heart of France! Many would argue that the only refreshment fitting for a wedding is bubbly. If you belong to this school of thought than what better a choice for your big day than the region which gives the world’s favourite sparkling wine its name? Less than an hour from Paris by train, Champagne has always been one of the wealthiest areas of France, a fact the many chateaux which still stand today bear witness to. If your heart’s set on a vineyard celebration, search out one of the lesser known, family producers for a more authentic experience. The secret’s out! For years one of France’s most hidden treasures, the rise of the budget airline has opened up the island of Corsica to the non-French traveller. Still, the best way to reach Corsica is by ferry, which shuttles between the island and the mainland ports of Nice and Toulon. Once there, discover the sparkling bays only accessible by boat, long, sandy beaches and inland, mountain hideaways which make Corsica the right choice if it’s a more intimate wedding you crave. Say yes in the birthplace of some of France’s finest minds: Louis Pasteur and Victor Hugo! Tucked in between Burgundy and Switzerland, Franche Comté is also one of France’s greenest and least populated regions. Whether your dream wedding location is under the summer alpine sun or in a snow-drenched winter wonderland, you’ve found the perfect outdoor playground, no matter the season. There’s no shortage of superlatives to describe Paris and for many the City of Love is the ultimate wedding venue. The Eiffel Tower, the River Seine, Montmartre, Sacre Coeur and Notre Dame Cathedral are just a few of Paris’ famous landmarks which ooze old school romance. With Paris the geographical and the cultural heart of this region, the Ile de France fans out to encompass that other dream French wedding location: The Palace of Versailles. The ‘other’ region of France which can boast a glorious Mediteranean coastline, the Languedoc-Roussillon stretches from the Rhône river in the east down to the Spanish border in the west. If you’ve a Provence wedding on your mind, investigate the options in the Languedoc-Roussillon before making a final decision. This is a region which can offer a similar climate with a similarly beautiful coastline. Some of the highlights include Carcassonne, the World Heritage Site and perfectly preserved medieval cité, and the Canal du Midi, perfect to spend a lazy honeymoon cruising upon. The least populated region of mainland France, Limousin is found entirely within Le Massif Central, one of France’s most dominating mountain chains. As such, it’s a very outdoorsy life with verdant landscapes suited to almost any open-air activity you can name. If you dream of getting married in a hot-air balloon, here’s your place! However the region can also boast some of France’s prettiest villages, well away from the usual tourist trail. Of all France’s regions, Lorraine shares the most borders with the country’s neighbours: Belgium, Luxembourg and Germany. As such, this is a multicultural region with an important position at the crossroads of Europe. The largest city, Metz, is home to a spectacular cathedral and Nancy, another of Lorraine’s important centres, is blessed with many beautiful churches. However, if you would prefer a more intimate, rural wedding follow the Moselle River, which runs past some of the most delightful villages in France. Taking its name from the mountain chain which runs through it (the Pyrénées) and the colloquial name for Southern France (le Midi), the Midi-Pyrénées is the largest region of France by size. Two rivers are synonymous with the region: the Tarn and the Lot. The calm waters of the former run past the spectacular cathedral of Albi and the latter flow through the proud city of Cahors. Both are just two of the sublime wedding locations this region offers. Welcome to the northernmost region of France! As the closest point to the United Kingdom, the Nord-Pas-de-Calais is for many visitors their first experience of France. Not only is Calais the main port to catch a cross channel ferry to Dover, thanks to the Eurostar, Lille, the largest city, is a mere hour and a half from London! This train link has been the catalyst for a cultural renaissance in Lille and this historic centre can boast one of France’s most beautiful cathedrals in which to walk down the aisle. In many ways, Normandy is France’s land of plenty. Sharing a border with Brittany, the two regions also share the reputation as being the friendliest corner of France. This is the land of Camembert and Calvados. Of historic cities Rouen and Caen. If that’s not enough, one of the country's most iconic landmarks is found just off the Normandy coast: Mont St Michel, the awe-inspiring medieval abbey which seemingly rises out of the ocean. Although the name would suggest otherwise, the famous Chateaux of the Loire are actually found in the neighbouring Centre region of France. The Pays de la Loire can still claim their fair share of fairytale castles, however, so don’t rule out this beautiful region which extends from the Atlantic coast, past Le Mans and towards the centre of the country. Also encompassing a large portion of the Loire Valley vineyards, it’s no surprise that this is affectionately known as the Garden of France, such is the agricultural richness found here. Less than an hour from Paris, with great transport links, Picardy is perfectly placed for a weekend country escape from the capital. Which makes it a more than worthwhile candidate for your French destination wedding. This is the home of Gothic architecture and the regional capital, Amiens, can boast one of the finest Gothic cathedrals in the world. Picardy can also offer historic castles, stately gardens and picturesque countryside, so you’ll never be lost for suitable wedding backdrops in this region. With one of the most favourable climates in the country, Poitou-Charentes on the Atlantic coast is a less touristy alternative to its more showy Mediteranean counterparts. That’s not to say that the region doesn’t have its share of fans: Ile-de-Re and St-Martin-de-Re, the small islands found not far off the coast of La Rochelle, are the French equivalent of the Hamptons for the chic Parisian crowd. Sandy white beaches, culturally stimulating centers such as Poitiers, and the beautiful Marias Poitevan wetlands (France’s ‘Green Venice’) are reasons why the Poitou-Charentes should definitely be on your wedding short list. Images of celebrity weddings on board mega yachts off St Tropez or at five star hotels along this shimmering stretch of Mediterranean coastline have made the French Riviera one of the most sought after wedding destinations in the world. However there’s much more to France’s South East corner than the glitz and glamour of the Côte d’Azur and Monaco. The country roads of the region are full of romantic lavender fields and idyllic rural settings which have inspired more than one couple to say ‘I do’ in one of the most picturesque locations on earth. There’s no shortage of spectacular wedding locations in the Rhône Alpes. From the scenic shores of Lake Geneva and Lake Annecy to the fabled slopes of the French Alps and the hallowed vineyards of the Rhône valley, this is one of France’s most geographically diverse and beautiful regions. The administrative capital, Lyon, is not only France’s second largest city but also the gastronomic soul of the country. You can be certain of finding here an unforgettable epicurean feast to celebrate your special day. Find out more about getting married in France in our French Wedding Guide or browse our French Wedding Directory to start planning your dream wedding.